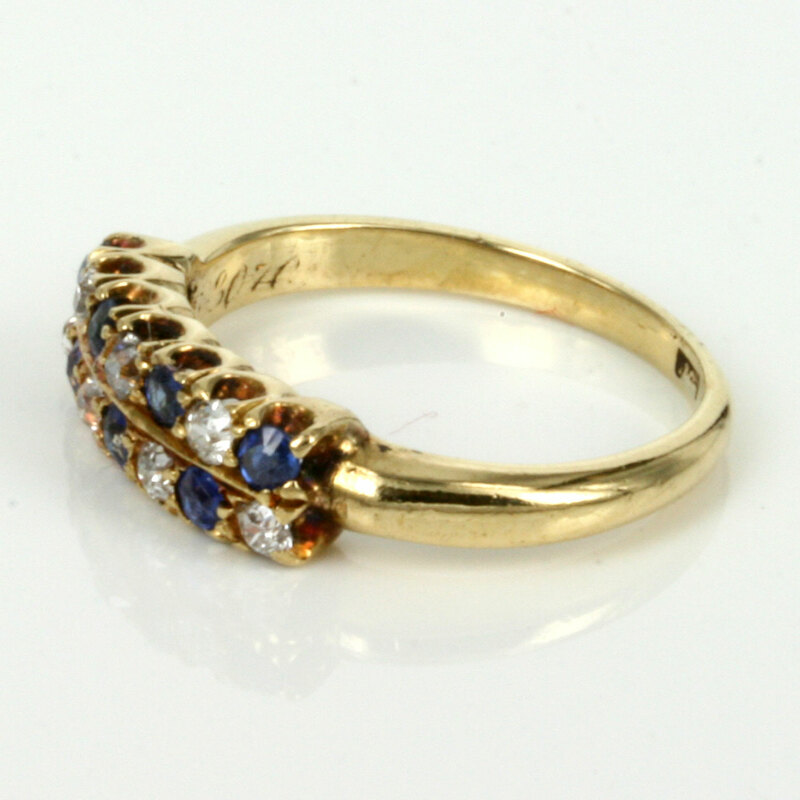 Product code: ES2431 Categories: Sold Items, Sold Rings. Antique rings always seem to have that something unique and special about them and is one of the reasons why antique rings are so popular today and this antique sapphire and diamond ring will certainly be no exception. 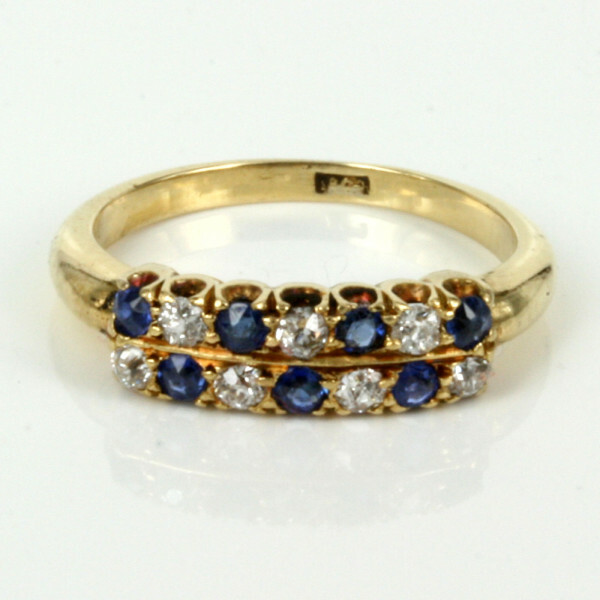 Made in the Edwardian era of the start of the 1900’s, this ring is made in 18ct yellow gold and made in a wonderful variation of the traditional in line sapphire and diamond ring by having not one but two rows of sapphires and diamonds that makes this ring look so amazing on the finger. One row is set with 4 sapphires and 3 diamonds and the other alternating with 3 sapphires and 4 diamonds and the ring measures 4.5mm wide by 14mm long and is so easy to wear all the time. The sapphires total 0.28 carats and the diamonds 0.21 carats and the sapphires have that rich royal blue that matches so well with the diamonds and yellow gold setting. With a unique style and design this sapphire and diamond ring would be perfect for any finger for any occasion and it would also make a very special example of an antique engagement ring that would always be admired, and could be worn on ts own as both the wedding and engagement ring or have a wedding ring set against it. This is a very elegant and refined antique sapphire and diamond ring that is 100 years old, still in great condition and has a wonderful design and style all unto itself and doesn’t have to break the budget.